Have you been avoiding fruits like watermelon and pineapple because you’ve read it has a high glycemic index? Glycemic index (GI) lists categorizing foods as high, medium and low glycemic are plastered all over the internet. There are numerous diet books and plans based on the GI of foods. They warn people to avoid the high and even medium GI foods because they will lead to weight gain, more belly fat and worsening of blood sugar and insulin resistance. It amazes me how many people follow these follow these lists to the T … almost obsessively. As a nutritionist and certified diabetes educator, I’m constantly having clients come to my office saying ‘I can’t eat XYZ” because it has a high GI. Well, here’s some news. These lists are not as accurate as you think! In fact, there are 9 reasons as why the GI is not accurate. I’m not saying you should disregard them, just don’t take them as gospel truth. Here’s why …. The glycemic index tells you how quickly a particular carbohydrate in a food causes blood sugar to rise. 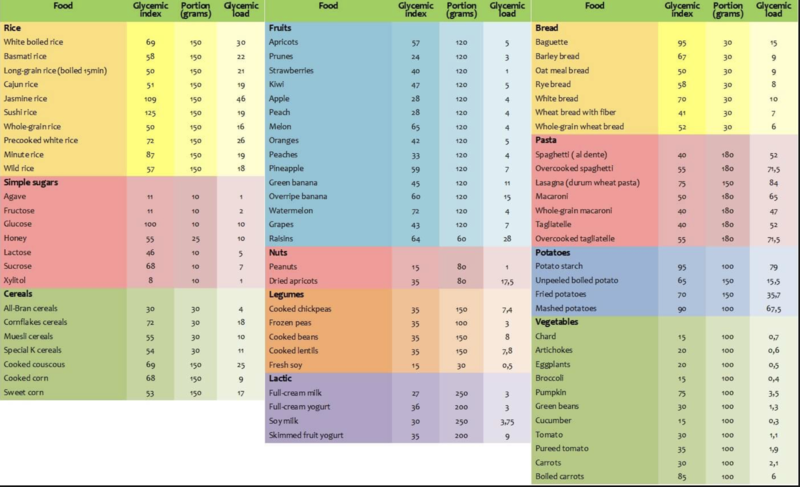 Foods are ranked on a scale of 0 to 100, with pure glucose (sugar) given a value of 100. The lower a food’s glycemic index, the slower blood sugar rises after eating that food. In general, the more cooked or processed a food is, the higher its GI, and the more fiber or fat in a food, the lower its GI. Protein and fat has negligible effects on blood sugar therefore the glycemic index of these foods will be very low. So don’t be so shocked when you see the GI of a food like peanuts or avocado. So adding protein, fat or fiber to a food will lower the GI. For example, a Peanut M&M’s has a GI of 33 as compared to an orange (GI= 45) and kidney beans (GI= 29). And we know which ones is healthier! How long the food is cooked and degree of processing. For example, al dente pasta has a lower GI than soft-cooked pasta. And steel cut oats has a lower GI than rolled or instant because it’s less processed. How ripe the food is. The more ripe a fruit or vegetable is the higher the GI. For example, ripe bananas have a higher GI than bananas that are less ripe. The temperature the food is eaten. For example, rice or potato that has been cooked and cooled has a lower glycemic index than it’s never been cooled or eaten warm. What is eaten before the food. Eating some protein or fat 15 minutes before the higher GI food will lower it’s GI. A recent study found that eating carbs at the END of your meal may help lessen the rise of blood sugar and insulin post meal. The GI doesn’t take into account the actual serving size of a carbohydrate containing food. For example, I previously gave the examples watermelon and pumpkin. They have a high GI, but low GL because they contain a fair amount of water. Even within the same person, results vary with the time of day or even day to day. This study done at the Jean Mayer USDA Human Nutrition Research Center on Aging (USDA HRNCA) at Tufts University showed eating the same portion of the same food and the GI can can vary by an average of 20 percent within an individual. And the results for the same food eaten by various individuals can vary by 25 percent. Your genes. Our genes will play a role in how our blood sugar reacts to different carbs. Your gut microbiome plays a major role in how your body handles certain carbs and it’s blood sugar response. This is the most interesting reason to me … as I’m kind of obsessed with gut microbiome stuff. We all have about 5 pounds of bacteria living in and on us. The majority is in our gut. 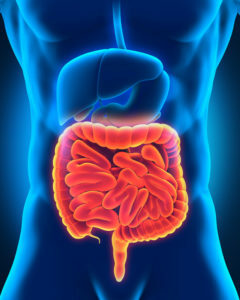 70% of our immune system comes from our gut. 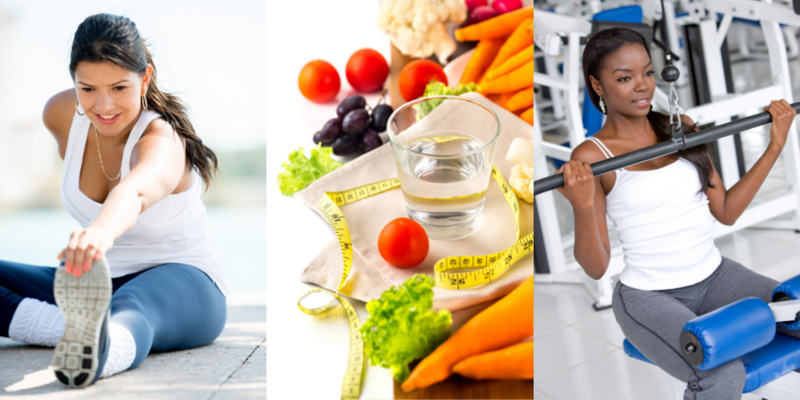 In addition to gastro-intestinal health, research is also linking gut bacteria to heart health, obesity, risk of diabetes, metabolic syndrome, osteoporosis, mental health, allergies. 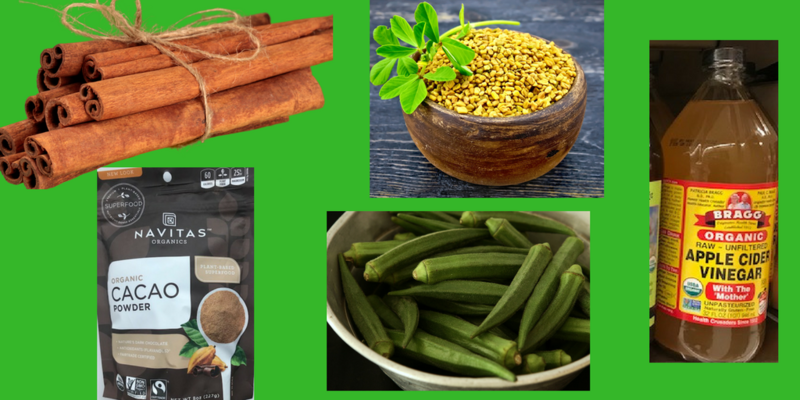 A study done by Dr. Eran Segal and colleagues at the Weiztman Institute of Science demonstrated how the individual gut microbiomes of 800 study participants impacted the body’s blood sugar response to food. This was a fascinating study and worth reading. They were able to predict how the body would respond to various carbs by looking at the type of gut microbiome the person had. Listen to the podcast on the Quantified Body. 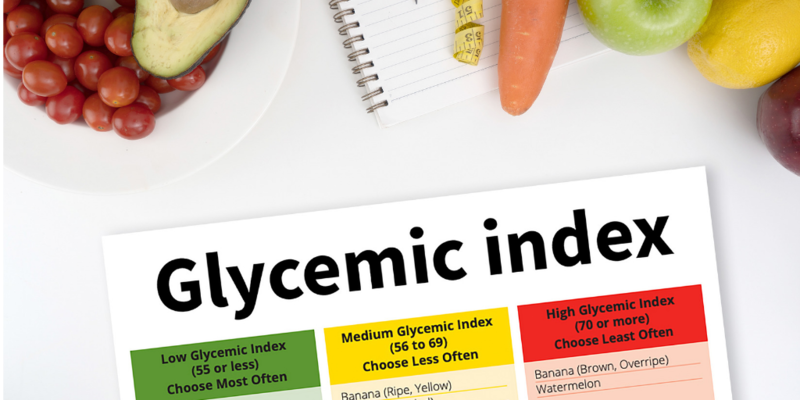 The glycemic index and glycemic load can be used as tools to guide you on the effect of various carbs on blood sugar. In general, foods that are minimally processed will have a lower GI … and will be healthier overall. But keep in mind that they are only guides, as there are many factors that can change this. Don’t base your carb choice purely on GI … because it’s probably not even that accurate! Use common sense and choose healthier carbs (i.e. an orange over a snickers bar). If you are trying to mitigate the blood sugar rise after eating a food, keep in mind that portion size plays a major role in what happens to your blood sugar. Eating a large portion of any carb – even the healthier ones – will likely cause a significant rise in blood sugar. So consume all carbs in moderation (except for non-starchy veggies. Eat as much as you want!) 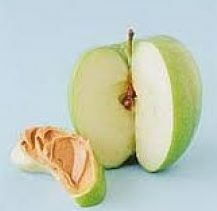 and when possible, add some protein, fat and/or fiber when eating the carb as this will lower the GI. 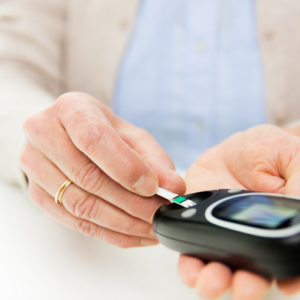 The “gold standard” to assess the impact of a food on your blood sugar is to wear a continuous glucose monitor. Do you have any questions on the GI or GL?